Nvidia’s Tegra 2 dual-core processor powers many of the phones and tablets on the market, and it’s similar to the one found in Apple’s iPad 2. 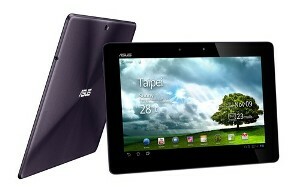 That could change soon, as Nvidia has announced its Tegra 3 quad-core processor, which makes its debut in Asustek Computer’s Eee Pad Transformer Prime tablet. Generally, more is better, but does your company really need a quad-core mobile device? With a design based on the ARM Cortex-A9 processor, the Tegra 3, code-named “Project Kal-El”, boosts by up to three times the graphics performance and five times the overall performance of its Tegra 2 predecessor. The graphics boost is largely due to a 12-core Nvidia GeForce GPU, which lends itself to dynamic rendering of textures and lighting in high-resolution 3D environments, and also makes possible 1080p high-profile video at 40 Mbps. Running at up to 1.3GHz, the extra horsepower comes primarily from the additional two cores, but is also helped by improving the memory bandwidth by three times and doubling the speed of the image signal processor. The reason businesses should pay attention to devices powered by the Tegra 3 is less about sheer power and more about power consumption. The Tegra 3 uses Variable Symmetric Multiprocessing (vSMP), which adds a fifth processor running at 500MHz. This low-power processor can be used for handling less demanding needs, such asplaying back music, viewing low graphics websites, and updating background data. When this is all that’s required, the four main processors are turned off. During higher demand activities, such as viewing websites with heavy graphics, multitasking, or gaming, the main processors do the work and the fifth processor is turned off. This adds up to big battery savings–up to 61 per cent, says Nvidia, which makes possible a 12-hour battery life in the just-released Transformer Prime tablet. Joseph Fieber is an experienced blogger who spent 25 years as an IT pro, and has a background in computer consulting and software training. Follow him onFacebook orTwitter, or contact him through his website, JosephFieber.com.